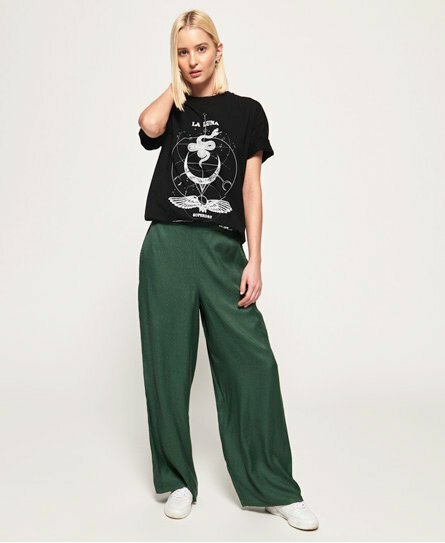 Superdry women’s Janis wide leg trousers from the Dark Romance collection. These limited edition trousers perfectly combine style and comfort, making them your new everyday go-to. With an elasticated waistband and two front pockets, earn some serious style points by pairing with a knot front t-shirt and trainers.